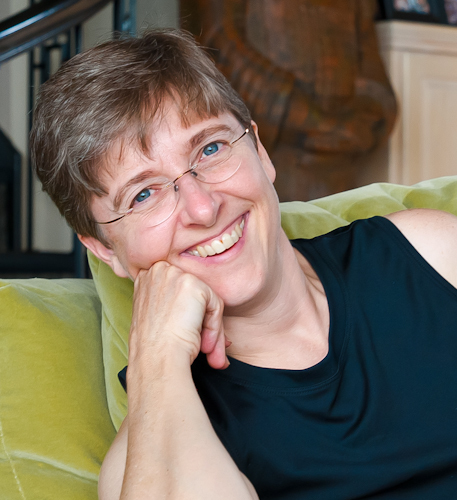 This week, I had the pleasure of interviewing Sarah Campbell, author, photographer, and creator of non fiction books for young readers. If you are thinking about registering or have already registered for the wik12 Conference (Writing and Illustrating for Kids), Sarah is one of our Regional Experts and will be leading two of the workshops! Check it out HERE. Sarah, please tell us about yourself and how you became a writer and photographer. I've always wanted to write, and I always have. Thanks to my mother (who is also a photographer), I have a lovely black and white photograph of one of my very first stories, “The Eight Balls.” I wrote it in first grade, and it treats a theme I still grapple with today: figuring out how to follow the rules. In high school, I wrote articles about sports and other school activities for my hometown newspaper. I also learned to be a photographer. My mom taught me to shoot black and white film, develop it, and print the photographs. I also edited an oral history magazine called I Ain't Lyin'. I put my photography on the back-burner in college. I was studying journalism and I got mixed messages from faculty about the wisdom of displaying to editors a skill for both photography and writing. At newspapers at the time, the duties were very clearly divided between photo departments and news departments. 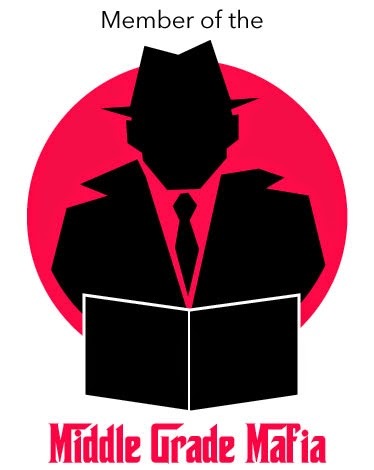 After college and graduate school, I spent about five years writing for daily newspapers, covering everything from state government to ice storms to murder trials. I quit full-time journalism when my first son was born, but I knew I wanted to keep doing some kind of writing. After I had two more sons within three years, I found it hard to do freelance journalism. At the same time, my reading habits had changed radically. Suddenly, I was immersed in the world of children's books. 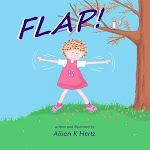 I decided I'd like to try my hand at writing for kids. I started by writing an article for Highlights and then moved on to books. My first was Wolfsnail: A Backyard Predator (Boyds Mills Press, 2008). When I began writing for the children's market, I studied the photo credits in magazines I was interested in publishing in and noticed that at least some of the time, the writers provided the photographs. My chief concern was being able to provide photographs at the quality necessary for printing. My first digital camera was a point-and-shoot and, though processing was fun and easy, I felt handicapped in my shooting. I invested in a digital single lens reflex (what I call a “real” camera) and I have never looked back. All of this was happening around the time I was trying to sell a story about wolfsnails. The images that accompanied the article I sold to Highlights were taken with my digital point-and-shoot, but I knew I wanted to illustrate my picture book manuscript with a totally different kind of photograph. I bought a macro lens to fit my camera and began taking up close, larger-than-life photographs of the wolfsnails. I brought a set of them to a Southern Breeze SCBWI conference and had them critiqued by an art director. When he told me they met the quality requirements, I gained the confidence to pair my manuscript with my own photos. 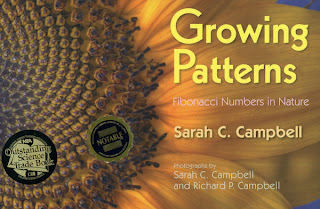 Your most recent book, Growing Patterns: Fibonacci Numbers in Nature, shows some of the amazing math and science in nature all around us. Share with us how you developed the idea for this book? Like many people I had heard about the Fibonacci sequence in various contexts, but I got really interested after reading about the connection between the Fibonacci sequence and nature. When I showed an art director an advance copy of Wolfsnail: A Backyard Predator during a portfolio critique, she asked what I'd like to do next. I told her I'd love to do something that would examine patterns in nature. She agreed it would be interesting and the idea really clicked for me. I did a quick bit of market research, got my hands on some books about the Fibonacci sequence, and then wrote a proposal for my editor at Boyds Mills Press, Andy Boyles. The final concept didn't come for more than a year (neither did a contract for publication). I had taken a bunch of the photographs and made a few attempts at the story when I started working in earnest on the design. The final concept came to me as I played around with a storyboard. The visual narrative builds in the same way as the Fibonacci sequence. For me, it is a great example of the way a picture book works. The words and pictures have to work together. Neither is sufficient alone. In addition to your first book, Wolfsnail: A Backyard Predator, and Growing Patterns: Fibonacci Numbers in Nature, your writing and photography has also been featured in numerous publications including The New York Magazine, Highlight’s Magazine, and Highlight’s High Five. Do you have an agent and what was your road to publication like? My road to publication took about six years. When I first began trying to write for the children's market, everything seemed alien and overwhelming. The best thing I did was to join the Society of Children's Book Writers and Illustrators and start attending Southern Breeze regional conferences. I sent a bunch of stories to various magazines and publishers – especially those whose editors I met at Southern Breeze conferences. All were rejected, with the occasional personal note. When my son found wolfsnails in our backyard, I knew I had a marketable idea. First, I sold a story and photographs to Highlights. As we were going through the final edits for the article, I mentioned to my editor, Andy Boyles, that I had written a picture book manuscript. He asked me to send it to him; he had just become an editor at Boyds Mills Press, too. Andy was the only editor to see it. I went to him again when I got the idea for Growing Patterns: Fibonacci Numbers in Nature. I feel as if I have had a very charmed career in children's publishing. Wolfsnail and Growing Patterns have been very well received. I am working on two more projects. I want to keep doing this as long as I can. I saw on your website that you also teach photography to children. What are your classes like and how do your youngest students respond to photography and taking their own pictures? Typically, I work with students in small groups (4 to 6) to take photographs and to write captions or other informational text to accompany the photographs. Students love taking photographs. Having the creative freedom to capture their own images seems to help students tackle their writing with more enthusiasm and genuine interest. What tips do you have for other budding photographers who wish to illustrate books for children? First, study the market. Read photo credit information to determine the sources for photographs in books or magazines you admire. Pay particular attention to the publishers of books and magazines who use original photographs (by this I mean non-stock photographs). Also, work on your craft. There are lots of great tutorials online, and you can also sign up for weekly challenges that prompt you to stretch your photography muscles. You create beautiful non fiction books for children. Have you considered using your photography to illustrate fiction? I have thought about it; I've talked about it. I haven't figured out how to do it. I know there is a market for photographs as covers for MG and YA fiction, but I haven't sent any samples out or pursued it in any serious way. I'd love to see it done. I am working on two projects. One is a picture book that would illustrate a math concept with photographs (similar to Growing Patterns). I hope to have good news about this project soon. The other is a chapter book and my first foray into fiction. It tells the story of a second grader who moves from a northern city to a small Mississippi town in the early 70s and becomes the only white student at her school. Please list your website, blog, twitter, facebook page and any other places that we can learn more about you. Richard and I are in the middle of a wholesale overhaul of the website, which includes a new name and look for the blog. We hope to have it ready by opening day of the Writing and Illustrating for Kids Conference 2012. Now - Go Register for wik12! Click Here. Excellent interview, Sarah and Alison! How interesting you learned to take your own quality photos and mix them with your writing. Now that I've done the two books that way (my writing, my photographs), I can't imagine making it work any other way. Thanks for a very interesting interview, Alison and Sarah! i love the idea of making non-fiction concepts like math accessible and fun through photography! Sarah, your books look beautiful! Thank you, Alison, for such a great interview! Sara, I love that you have a photograph taken by your mom to go with a story you wrote when you were in first grade. How cool is that! Sara, What a wealth of information and talent you are. Thanks Alison for showcasing Sara in your blog. I love the look of your blog. Very professional. Connie, of Writers & Wannabes. Connie, Thanks for the blog compliments : ). Wow, thanks for the great interview, Alison and Sarah! Sarah, I find it fascinating that you learned photography at such an early age, and that you were persistent enough to find a way to combine it, finally, with your writing talents. 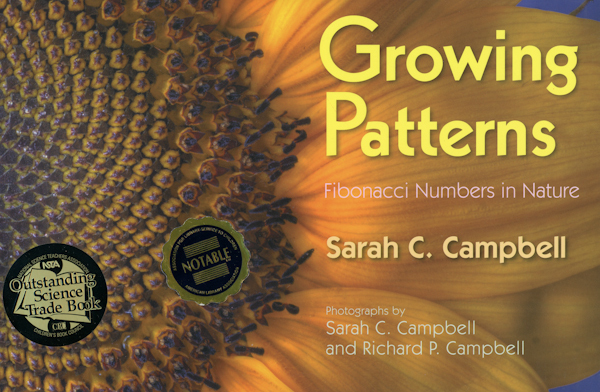 I love GROWING PATTERNS--it's one of my favorite NF books for kids. And you know what? It's consistently one of the books I find OFF the bookshelf when my grandkids leave, because they love it too! OH, forgot I wanted to say this as well: Sarah, I'd love to see you do some book jackets. My favorites, or at least the ones I remember best, tend to be photographs rather than art. DOVEY COE comes to mind. Thanks, Susan. There's nothing quite like stories about readers enjoying my books to make my day. And Sara - you are always a treasure trove of information and tips. I did smile at your "charmed" comment - yes, you've had successes in pretty rapid succession, but that's because you've put in the work and homework to make it happen, fueled by a lot of talent. Cathy, when I tramped through a Costa Rican forest at night (with a guide, of course), we saw an amazingly long line of ants; they were carrying other ants on their backs. It was so cool! And, Sarah, I think you said everything when you said joining SCBWI was the best thing ever. A person can learn so much from the workshops and conferences, and I've heard so many stories about it being the key that unlocks the publishing door. I believe in following dreams. If there is something you want to learn or do, go for it as long as it's not dangerous to yourself and others - and legal. Seize the day. I will write a picture book each month for a whole year!